Before buying drugs from any online pharmacy for the first time, you must do your due diligence no matter how impressive their site looks. Don’t just swallow whatever they put on their website hook, line, and sinker. You should search for reviews on the pharmacy. 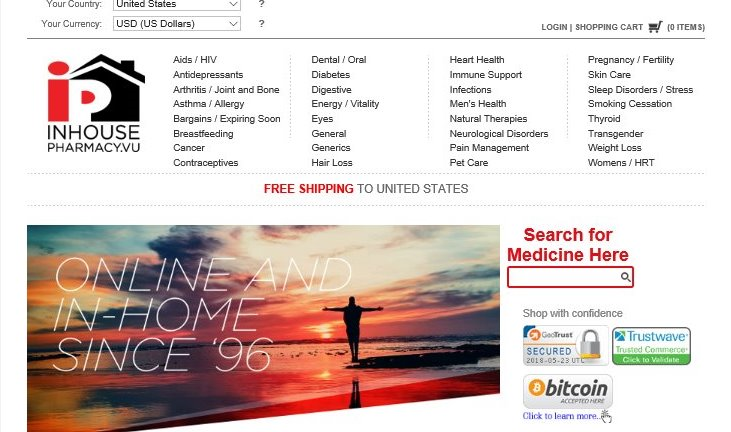 Although there are numerous reliable online pharmacies, there are a few fraudulent ones too. Have you come across inhousepharmacy.vu before? 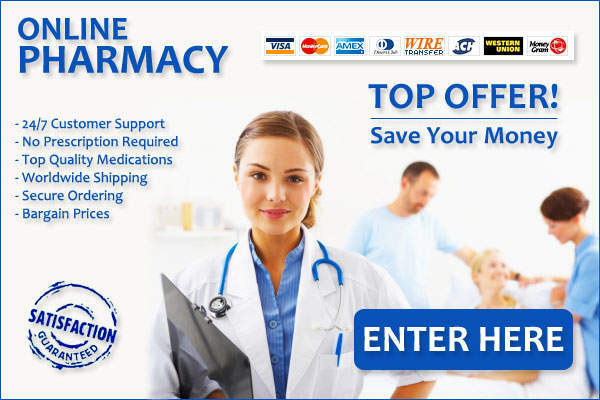 Here is a detailed review of the online pharmacy. It is said to be located in Vanuatu in the South Pacific Ocean. Their website looks nice and would not elicit any kind of suspicion. They even explained the process involved in ordering their drugs. Well, it was said to have been established in 1996. This is quite doubtful because fraudulent companies usually can’t operate for long before they run out of business. They claim that they supply only non-restricted drugs from only FDA-approved manufacturers. At this point, you have to give them the benefit of the doubt since you can’t negate their claims. Of course, the content on their website will blow anyone away, especially the claim that they only patronize FDA-approved manufacturers. On their website, they stated clearly that they offer drugs for HIV, breastfeeding mom, transgender, just to mention a few of them. Of course, they also sell drugs for erectile dysfunction. According to them, they offer 13 different medications for erectile dysfunction. Their prices are quite reasonable. Sildenafil-based generic drugs start from $1.39 for a tablet and Levitra Vardenafil costs $25.88 for a pill. Apart from the prices of the drugs, you will also find some helpful information about erectile dysfunction and this makes them look like an authority on the issue. What will take you in further about inhousepharmacy.vu is their multiple payments options. They accept Mastercard, American Express Cards, wire transfer, Bitcoin, eChecks, and both credit and Visa cards. They claim that when you order, your drugs will be shipped within 24 hours and it can take between 7 and 28 days to receive your drug depending on your location. You don’t even need prescriptions to purchase drugs from this online pharmacy. According to their return policy, they offer full refund as long as the package remains intact. In addition, they also offer either full refund or re-shipment for lost packages as long as they are notified within 8 weeks after the first shipment. The first flaw you will find out is that they don’t run 24-hour customer service. You can only reach them via 877-271-6591 during their official hours and this isn’t favorable to customers that reside in the United States. In the alternative, you can also reach them by filling their online contact form. A customer complained that he ordered some drugs from the online pharmacy and after waiting for 5 weeks without getting his order, he had to call. He was asked to choose between a re-shipment and a full refund. The fact that he really needed the drug made him choose the former. Now, he thinks he should have asked for a refund because it has been several weeks but he is yet to receive the order. While this online pharmacy is popular among transgenders, it is difficult to get a few positive reviews about the store. Another customer posted another negative review on Reddit that he ordered a product but didn’t get it. After 5 weeks, he contacted their customer service team but didn’t get a quick reply. Well, these couple of reviews may still not be enough f or you to write inhousepharmacy.vu off. So, both Scam Adviser and Legit Script were involved. These two sites have been doing great jobs saving people from falling victims to fraudulent stores. Scam Adviser gave inhousepharmacy.vu only 10% score after rating its services. This implies that ordering drugs from this pharmacy is quite risky. One thing is still baffling about the pharmacy. The site pulls high daily traffic. Scam Adviser observed that the store is either located in the United States or in Bahamas but they claim to be based in Vanuatu. This alone is enough to elicit suspicions. Why would any company lie about its base? Legit Script on the other hand labeled inhousepharmacy.vu a rogue website after scrutinizing their services. Legit Script made it clear that selling prescription drugs without any doctor’s prescription is highly illegal and this promotes the circulation of uncontrolled medications to circulate easily all over the world. In addition to the competitive prices of their drugs, inhousepharmacy.vu offers free shipping for US orders. And apart from the US, they also offer free shipping to several other countries. This is really tempting. Secondly, if you prefer to pay with Bitcoin, you will get an additional 10 percent of your bill. One thing you may begin to wonder is how they are able to offer drugs at such low prices. May be their drugs are not controlled. Since the reviews on ground are not enough to condemn them, one could still give them a chance. Besides, the fact that their site enjoys regular traffic is a sign that they are quite popular. However, you can’t ignore warnings from both Legit Script and Scam Adviser. The fact that you don’t require prescription to buy their drugs is the main reason you should be suspicious. What makes it difficult to conclude on this pharmacy is lack of reviews. If there were enough reviews, you would be able to judge. You can only give them a trial and don’t spend more than an amount you can afford to lose. If you get your order, you can then raise the amount in your subsequent orders. You should also be careful about the drug you get from them. They could be counterfeits.